Best of Houzz 11 times for Design and Service! 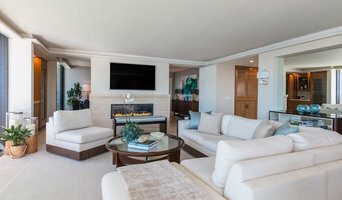 2012, 2014, 2015, 2016, 2017, 2018, 2019 Carrie Maniaci is one of Southern California's and Dallas most sought-after Interior Designers. Her work has been featured in numerous magazines and seen on TV. 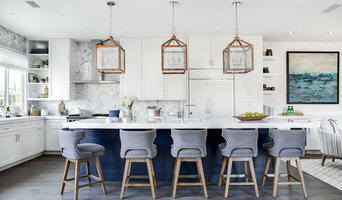 M2 Design Group projects have included Celebrity Homes, Professional Sport Player’s Homes, Hollywood Film Studios, and homes that range from studio condos to luxury estates. "Each client is unique and we love the process of working with our clients to develop individual design concepts - from space planning to furniture and the finest of details and finishing touches." "We bring our passion for design to every project. We pride ourselves on our ability to integrate design experience and artistry with the gift of really connecting with our clients. First we gain an understanding of your desires and dreams for your home and then we collaborate with you to refine the vision and bring it to life." I was raised by a beautiful, artistic woman who constantly encouraged me to notice the world around me. My mother taught me to find wonder in the smallest things and so I grew up with a strong appreciation for nature, art, and expressing one's creativity. From an early age, I loved moving my furniture around to give my bedroom a new "look." My parents were amazed by their seven-year-old daughter's physical strength, but the compulsion to create something new was a powerful force! Years later I still find it thrilling to assemble fabrics, furniture and all the elements of a beautiful room. I think the emotional impact a home has on those who live there often goes unrecognized. The power of an attractively designed space can be tremendous. Giving my clients a place they look forward to coming home to is paramount. Creating beautiful, livable rooms to share with family and friends is the ultimate goal. One day, a friend of mine was visiting and as she entered our home she said, "When I come in your house I just feel...ahhh. It's so welcoming and warm." That's my mission statement in a nutshell! 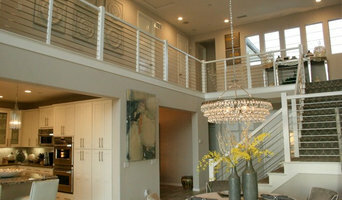 Whelan Design House is a full-service boutique interior design firm specializing in high end projects. Our dynamic team is headed by Donna Whelan and Caitlin Whelan. We were founded in 2008 and have been featured in several local and national publications. We are based in Southern California but are available to travel for projects. We were formerly known as Relics Design Studio. Kittrell & Associates principal Chris Kittrell is a Certified Interior Designer, Allied Member ASID, NKBA Member, holds an MBA and is a professor of design at Interior Designers Institute in Newport Beach, CA. The firm offers a wide range of design styles include Traditional, Transitional, Contemporary, Mediterranean, Spanish Revival, Mid-Century Modern and Coastal Cottage. Specializing in interior design for new custom homes, remodeling and renovations, Kittrell & Associates is an award-winning firm taking projects from blue print to completion for homes ranging in size from 2,700 to 11,000 square feet. Recognized by ASID, OC Home Magazine and Orange Coast Magazine, the firm has won five Awards for Excellence, one for Home of the Year under 3.500 square feet, three for Kitchen Design and one for Home Office Design. Kittrell & Associates offers professionalism and extensive experience in all phases of design and has a vast network of custom homebuilders, professional general contractors, design resources and showrooms to facilitate all aspects of the process of design.